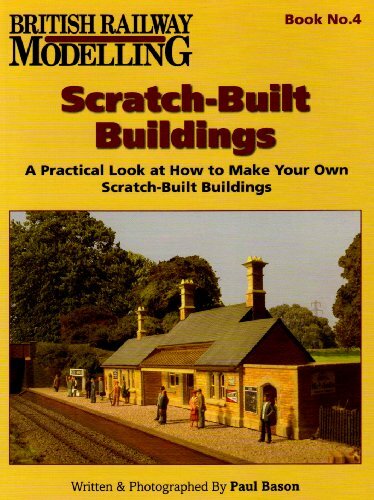 The models featured are good examples of scratch built buildings made primarily from plasticard, and the book is aimed at the average modeller. If you are more advanced and you want to see the finest examples of architectural modelling, you’d be better off buying (if you can still find them) either ‘Buildings in Miniature’ by George Iliffe Stokes, ‘Architectural Modelling in 4mm Scale’ by Dave Rowe or ‘Cottage Modelling for Pendon’ by Chris Pilton. Or buy BRM’s ‘Building Buildings’ DVD which is excellent too.